Pearlfection(TM) is simulated pearl jewelry that is the perfect marriage between science and nature. 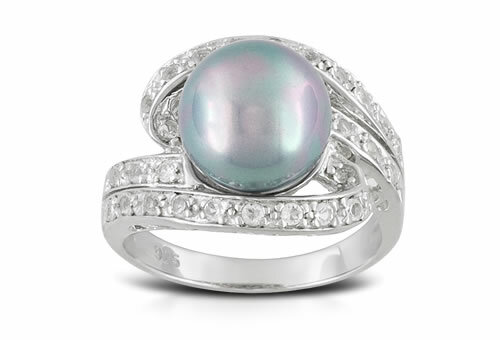 Manufacturing starts with the same identical mother-of-pearl nucleus that is used to culture salt water pearls. Then, manufacturers apply to the nucleus a proprietary solution that perfectly mimics a pearl's nacre, creating the perfect pearl simulant. Pearlfection(TM) pearls look, feel and weigh just like a cultured pearl. RI and will fail the tooth scratch test. Pearlfection pearls will have a smooth surface and ragged drill hole. No nacre layer.